This aircraft left Bolling Field D.C. on 23 May to ferry Lt. Col. Louis Gimbel (of the Gimbel's Department Store chain family) to Montreal, Quebec and back to Bolling Field via Presque Isle, Maine AAF and Houlton, Maine AAF. At 09:34 on the 24th, the aircraft departed Montreal under an instrument flight plan for Presque Isle AAF. There were 2 crew and 4 passengers aboard and an ETA of 11:34. The pilot reported to Millinocket Airport at 11:08, that he was over the Millinocket Radio Range Station at 5000 ft. He requested clearance to 7000 ft, which was granted at 11:12. This was the last radio contact. Neither Houlton AAF nor Presque Isle AAF were contacted at any time. At 11:35, the Fire Warden at the Howe Brook Mountain Fire Tower, northwest of Houlton, heard the aircraft approaching from the south, then heard the engines sputter and stop. A few minutes later, the aircraft came out of the low cloud layer in a 75 degree dive and crashed into a thick swamp about a mile away. Killed in the crash were: 1st Lt. Clarence Wright, Pilot; SSgt. Frederick Taylor, Flight Engineer; and passengers Lt. Col. Louis Gimbel, Capt. John Franciscus, Capt. Gilbert Herbach, and 2nd Lt. Earl Wilkinson. The board of inquiry was unable to determine a cause, but listed weather and pilot inexperiance under instrument conditions as factors. A testimony to the severity of the impact. 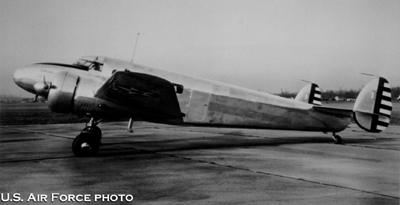 The largest piece of wreckage, seen here with Howie Noddin, contains the left verticle and horizontal stabilizers, most of the empennage, and the right wing with engine nacelle and landing gear! Two views of the passenger compartment door. The wreckage is spread over 300 yards in a flooded cedar swamp. Two views of the right engine mount. The left wing, embedded in the swamp floor. 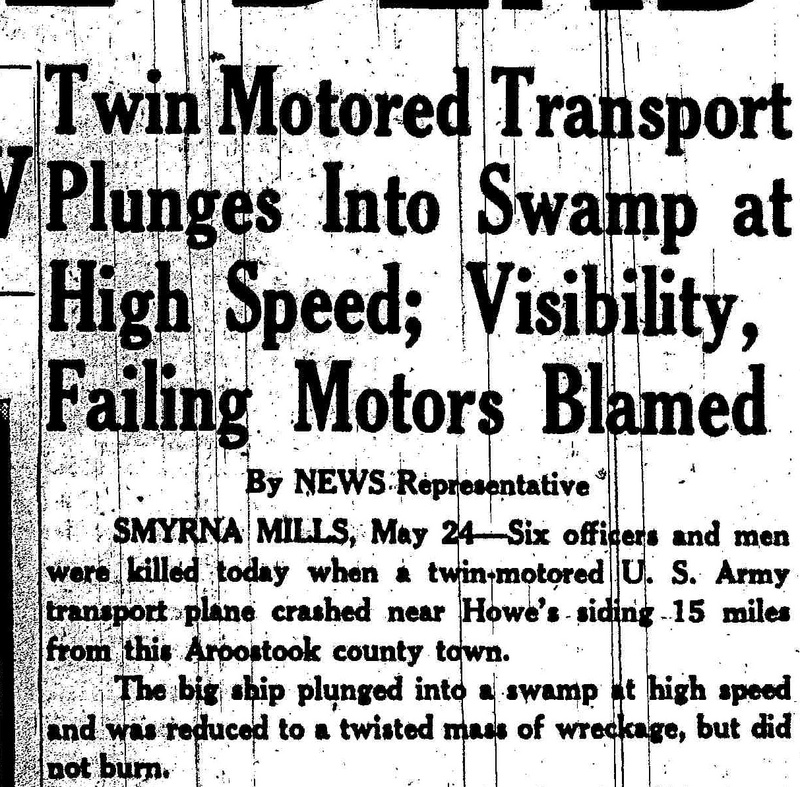 Both engines broke up on impact, with cylinders thrown across the swamp. Frame of one of the flight deck seats. Flattened tail cone with right horizontal stabilizer, verticle stabilizer, and rudder.